The Consequences of Dying Without a Will or Estate Plan: What do you need to know? 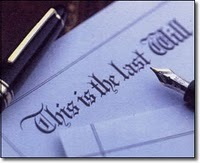 According to recent statistics, many people die without a Will or any estate plan. 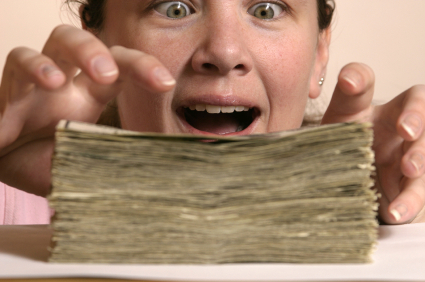 Less than 25% of adults may have a plan at all. While this is alarming by itself, it pales compared with the consequences your family will face if you were to die without a Will. We explore six of those consequences in this article so you can decide for yourself. 1. Your State Provides You With a Will. Your State has a plan for you if you don't do one yourself. Since this is being forced on you and your family and involves choices made by someone other than yourself, this may not be to your liking and the State's choices may not be those you would have made. 2. A Court Decides Where Your Children will Live and be Raised. By far, this is the primary reason that clients with young children will do Wills or an estate plan. Imagine the issues that this could create for your children and how you would feel knowing that this consequence was easily avoided. The choice the Court might make may not be your choice. When our goals include protecting our children, this is mission critical in estate planning. This occurs if you die without a Will as part of a public proceeding creating even more stress and problems for your family. Many clients do not want their families subjected to this type of public scrutiny. 3. 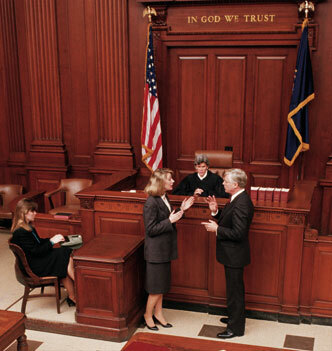 A Court Decides Who Your Executor (Personal Representative) will be. A. You are in the middle of a divorce and die without a Will. You might not want your estranged spouse as your executor but they have the first priority to appointment if you die without a Will or estate plan. B. You are single and in a committed relationship and die without a Will. Your intention is for your partner to be your executor, but that may not occur if you die without a Will or estate plan. 4. Your State Determines Where Your Property Goes. When you die without a Will, your State has a default plan called the law of intestacy about where your property goes and how it gets there. This could mean that your spouse is forced to share your estate with children. Most couples want the surviving spouse to inherit everything with the kids as secondary beneficiaries. If you want your own plan, then you can't die without a Will or estate plan. Are you sensing a theme here yet? 5. Children's Inheritances are in Short Term Court Managed Conservatorships. These conservatorships last to your State's age of majority. It may be your plan to have a child's inheritance last for a longer period of time. Dying without a Will insures that this will not occur. For example, all money could be distributed to your child before they are ready for the responsibility. The inheritance passes to your child unprotected from the risks of unwise spending; creditors and predators. Most parents do not want this result. 6. Property Passes to the Surviving Spouse With No Protections. Many clients seek to protect the surviving spouse by making sure inherited property is not subject to risk of creditors and predators. When you die without a Will, your spouse becomes a target for con-artists and the unscrupulous. This is a particular problem with seniors. We hear constantly about the importance of protecting ourselves in later life, but so few people do so. All six of these problems and negative consequences are eliminated by doing a properly designed and drafted Will or estate plan. Since a crucial part of estate planning is protection of family, protecting them against these six consequences or at least considering doing so is important. Are these important factors and goals for you? If so then make sure you have a current and valid Will or estate plan in place and be prepared for the unplanned and unexpected. Let me know your thoughts on this topic and join our conversation by leaving a comment or sending me an email. Thank you.